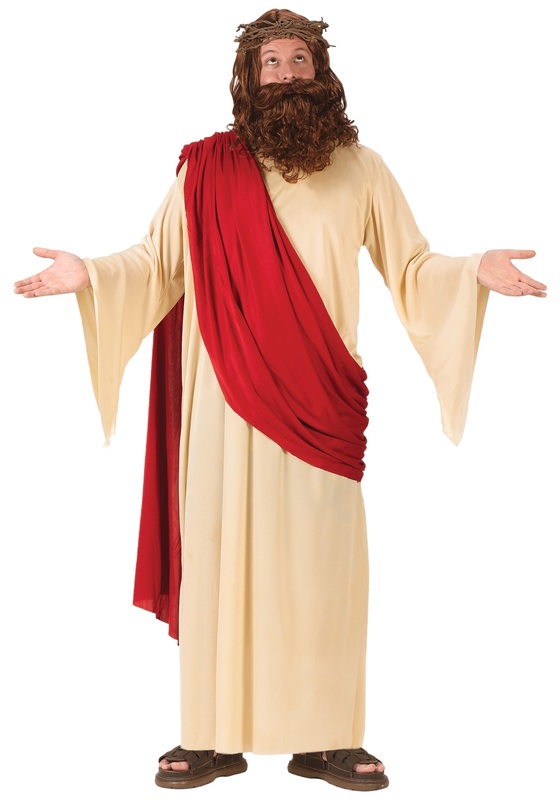 Get in touch w/ Jesus when you wear this Adult Jesus Costume. 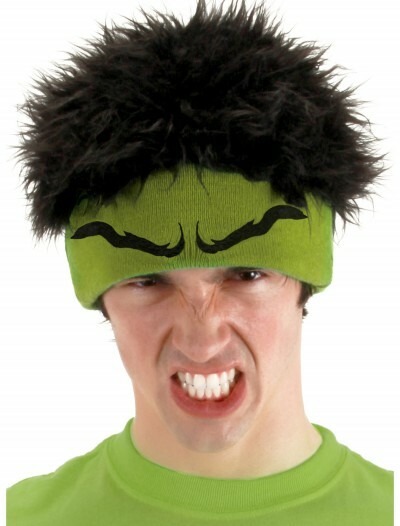 This is a complete costume that also comes with the wig! 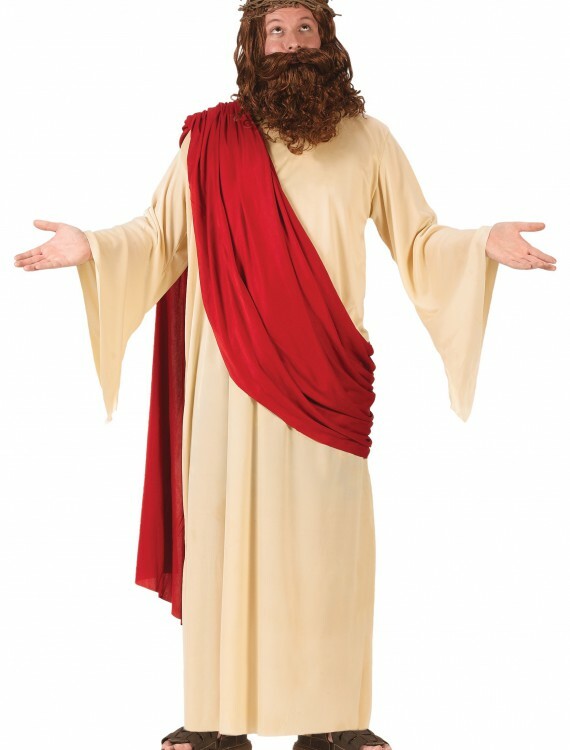 SKU: 509997772 Categories: Adult Halloween Costumes, Biblical Costumes, Easter Costumes, Halloween Costume Ideas, Holiday Costumes, Men's Halloween Costumes. You may not be able to walk on water or make the blind see again but…you can look exactly like the man who did. Who wouldn’t want to be mistaken for the almighty and all powerful Jesus! This Adult Jesus Costume will make you look like you just walked out of the Bible. This costume even comes with the wig and the crown made from faux thorns!